Having settled for a marriage of convenience, Prabhat discovers a clue that could lead him to his lost love. Should he sacrifice his life, and his wife’s, for the possibility of an old love, or should he walk away, and wonder, forever, what if…? A few words on a piece of paper are about to shatter Meeta’s happy little life. Her husband Prabhat has found a clue that could propel him straight into the arms of the woman he has loved since childhood, Nitya. Torn between his memories of an eternal passion with Nitya, and the haven of Meeta’s steady devotion, Prabhat is confused and uncertain. Should he sacrifice his life, and Meeta’s, for the possibility of an old love, or should he walk away, and wonder, forever, what if…? A story full of love, pain and pathos. This novel reminded me of the pathos we would see in the eyes of Guru Dutt, Waheeda Rahman or Meena Kumari. The pain and the love of the all the three characters is palpable. The story crisscrosses between the characters’ past and present. Prabhat leaves India and his childhood love after learning that she was planning, along with her mother, to marry someone else. Disillusioned in love, he becomes Paddy in London, running his own convenience store. At his mother’s insistence, he marries Meeta and they lead a complacent life till a chance news of death lands him on the same crossroad he had left behind in India. He learns that Nitya had not married after all and he starts feeling the burden of his accusations. But Nitya could not be found so easily. It was as if she knew that Prabhat would come in search of her. She had left behind, in her wake, a series of mysterious poems with clues in it. The trail is very interesting and like a new flower blossoming unfurls at every level a new twist to the story. …..Which my Dahlings, made me want to tear a few of my remaining hairs. It was so frustrating. Like a man running at a sight of an oasis. Beautifully penned by the author, frustrating for the reader. Be ready with this one… You have to finish the 95 pages in one go. So many questions arise? Where is Nitya? Will Prabhat find her? What will happen to Meeta? Parul Tyagi, How much tension can we handle? Prabhat and Nitya grew up together. Neighbors, they are madly in love with each other and a day doesn’t go past without them meeting and sharing what has happened in that time. A misunderstanding creates a rift between them and Prabhat goes on to marry Meeta and build a contented marital union with her. Meeta knows about Prabhat’s past with Nitya and still elects to marry him as she has harbored strong feelings for him right from the first time she saw him. Her gamble seems to have paid off as she and Prabhat have built a stable, happy life for themselves in the three years that they have been together. However, a chance incident makes her realize the deep feelings that Prabhat still harbors for Nitya. Not ready to accept a relationship that is based on duty rather than love, Meeta knows that Prabhat has to meet Nitya once more, for him to achieve closure. Even if that means that he might choose Nitya over her, she knows that they have to go through with it. The couple’s quest is helped along by Nitya herself in the form of letters that she leaves with various people. These letters contain riddles, which Prabhat has to solve in order to find her. Full marks to Parul Tyagi for taking such a unique concept and building a story around it. I found myself turning the pages to come to the next riddle. Prabhat’s anguish, Meeta’s caring and support and the bond of deep friendship between the couple is brought out beautifully and it is not till the very climax that you get to know what transpires in this triangular relationship. This is truly a love story with a difference. 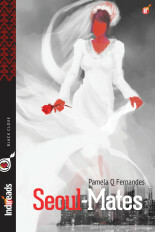 ‘Love will find a way’ by Parul Tyagi is an out and out love story. And why shouldn’t it be. After all, Indireads promises us light Asian romance. Prabaht and Nitya love each other since they were teenagers. A silly misunderstanding takes a tragic turn and Prabhat storms out of Nitya’s life, his country and everything else. He tries to rebuild his life with Meeta in England but always feels an all-encompassing emptiness. 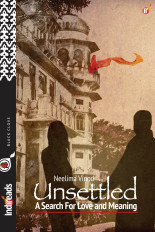 An incident triggers his memories of Nitya and egged on by Meeta, they return to India to search for Nitya. They cannot find her but discover a series of clues left by Nitya. They follow the clues, in an effort to trace her. Do they succeed? What happens to Parabhat’s and Meeta’s relationship? What twists and turns had Nitya’s life taken after Prabhat stormed out of her life? These are the questions which are answered as you read along. The novella is a light read, well-conceived and written. I would call it a Love story with IQ instead of an ordinary love story. Parul Taygi’s ability shines through at places making certain portions engrossing. The start is hurried. There is too much ‘telling’ as opposed to ‘showing’. I would have preferred to have seen the teenage romance blossom at the beginning instead of being told that they were in love in a few hurried paragraphs. The changing nuances of Prabhat- Meeta marriage also merited a detailed treatment. Good debut effort by the author. If you like light hearted romance, go for it. A couple of tears are still sitting pretty on my eyelids as I am writing a review. I had read the blurb long ago but it had not motivated me to read the book. Incidentally it is the reviews that compelled me to buy the book on a busy friday afternoon. Thereafter i read it in bits, couple of chapters on my laptop, in a taxi on my way to drop my mother hospital and in a bus on my way back. But I am glad I read the last couple of chapters at home, for I cried a lot. Heart touching and beautiful. Its rare to come across a story where you have no villains, three heroes(/heroines) and yet you feel equally for them. You brought out the characters and their conflicts so beautifully. Started Parul Tyagi’s ‘Love Will Find A Way’ as a pre-nap read and ended missing my afternoon nap altogether. The book is simply unputdownable! 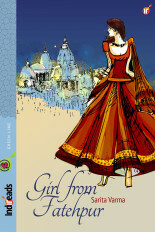 The two female protagonists are strong and noble and it is easy to fall in love with Meeta, the heroine of the story. At the end of this heart-wrenching tale, I was left with a lump in my throat. Well done, Parul! This review is coming from a person who has not read a single novel other than “5 Point Someone; Chetan bhagat” and Now “Love Will Find It’s Way; Parul Tyagi”. This book was a roller coaster, a fast paced, intriguing and sensitive story. It felt like a 3 hr long movie which kept you at the edge of the seat. At the end of the story, it made me introspect my own relationship with my wife. I realised that I needed to be a little more grateful for all that she does. At the same time, how I wish she also reads this and emulates Meeta (one of the protagonists). ‘If you love someone, set them free. If they come back they’re yours; if they don’t they never were.’ Parul Tyagi spins her novel, Love Will Find A Way, with Richard Bach’s quote as a pivot. The result is a wonderfully satisfying reading experience that has you rooting for Tyagi’s heroine, Meeta, who sets forth with her husband, Prabhat, in search of Prabhat’s first love, Nitya. Meeta is the most lovable protagonist I’ve met in a long time and her story is a tender tale of a strong woman who is not afraid to stake her dreams in her quest for love. Without revealing how it all turns out for Meeta, I will only say that Love Will Find A Way was everything I hoped for and more. 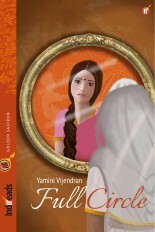 I just loved the ebook – LOVE WILL FIND A WAY by Parul Tyagi. Prabhat is married to Meeta. While Meeta adores her husband, Prabhat is just adjusting to this way of life. He had loved Nitya from since his school days. Then why are they not married? Suddenly, on meeting someone from his past, Prabhat feels torn between the need to meet Nitya and betraying his wife. That’s when Meeta comes forward to support her husband. She would rather have a husband who loves her completely than someone who feels duty bound to stay with her. But what will be the state of Meeta’s life be once she sets out on the journey along with her husband to trace the love of his life? I could not move away from my computer to even stop for lunch once I began reading this story. I felt torn along with Prabhu as he oscillated between right and wrong. Nitya’s character was quite simple. But the others had so many layers. I just adored Meeta. Such wisdom! I could so understand her view point. She does not want to live her life in half measures. And what she is ready to do to set it right! Amazing character, superbly etched. And the story almost had me biting my nails till I reached the last chapter, when I broke down crying like a baby. The title LOVE WILL FIND A WAY is perfect for the story. I am amazed! Excellent work Parul Tyagi! I seriously am keen to read your next. Wish you the very best. I have to congratulate Amal Fatima Uppal for creating the perfect cover for this book. “I’ll be happier than you. Right now there are three of us unable to have what we want. When you are with her, at least two of us will have found the meaning of their existence and the third will be instrumental in making that discovery,” Meeta replied.